Everest Poker does not currently offer a mobile poker platform. Everest Poker is part of the busy iPoker Network. Everest Poker is extremely customer focused and this shows in it ongoing promotions and its excellent loyalty rewards. Everest Poker Bonus: Download Everest and Receive $700 Bonus! 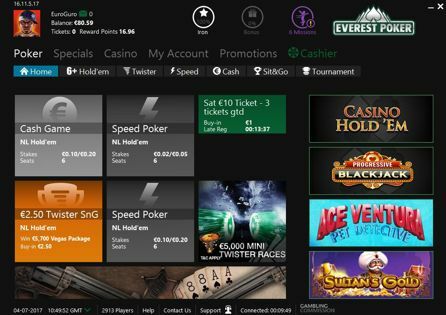 Everest Poker Download – Sign up via PokerNews and Enjoy the Benefits! Everest Poker is one of the most recognizable names in the poker industry and one that is synonymous with an enjoyable player experience. The company claims to be Europe's first multilingual online poker room thanks to offering fully-translated software in an impressive 15 languages. The Everest Poker brand is part of the Betclic Everest Group, which provides world-class online games and entertainment to millions of happy customers in more than 70 countries around the world. 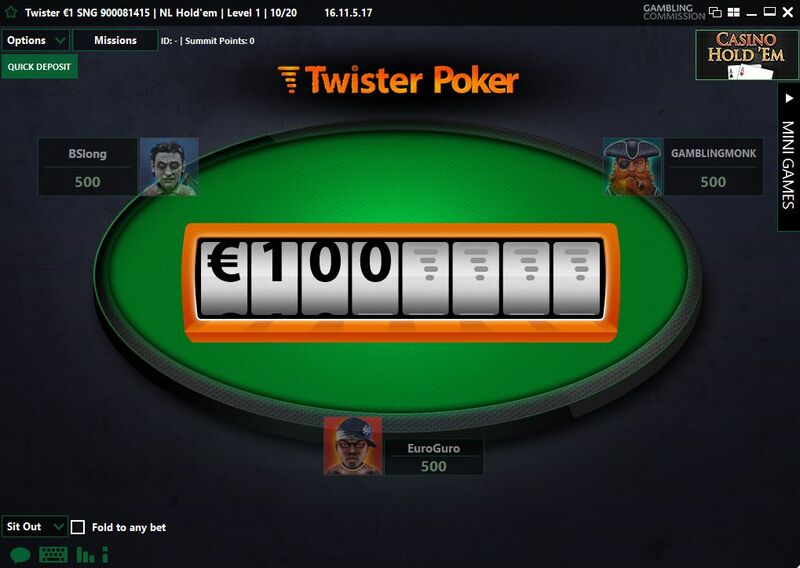 Everest Poker offers all new players who sign up for an account via PokerNews links a free €10 to try out real money games, a token to a €1,000 freerolls, and a 200% match up to €1,500 first deposit bonus — perfect to getting your Everest Poker career started. This free €10 is made up from a €5 token and five €1 tokens. 200% Deposit Bonus up to €1,500! Everest Poker matches your first deposit amount by 200% up to a maximum of €1,500, giving you the opportunity to give your bankroll a significant boost. 20 Reward Points that can be redeemed for cash rewards or entry into rewards tournaments. Everest Poker also used Reward Points that can be exchanged for cash or to enter special VIP tournaments. As you climb up the VIP levels, the number of Reward Points you earn per Summit Point also increases, as shown in the table below. Everest Poker's VIPs get to play in up to €20,000 worth of tournaments each month depending on how high their VIP level is. These Rewards Tournaments freerolls are available to anyone Bronze level or above. Silver level and above VIPs are also able to exchange their reward points for cash bonus ranging from €1 to €2,000! Everest Poker is part of the busy iPoker Network, and this means that the room has cash games running 24 hours a day, seven days a week. 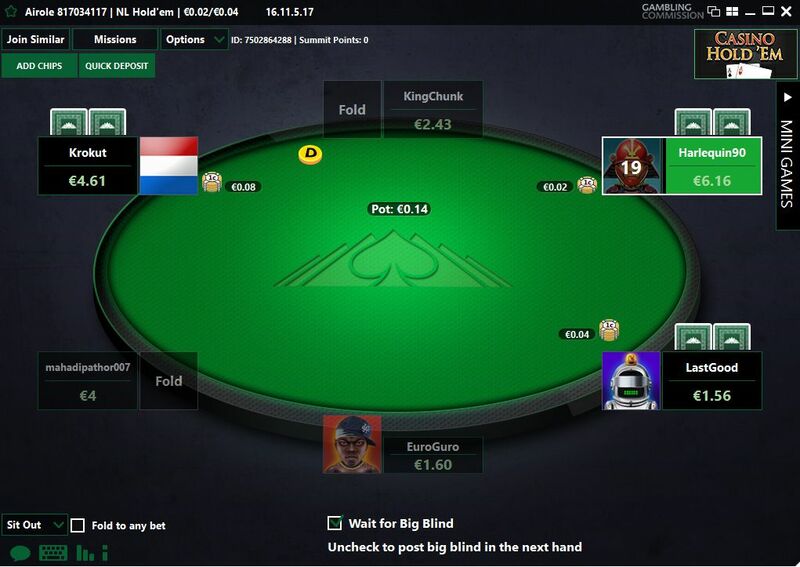 Games start with blinds as low as €0.01/€0.02 and increase up to €5/€10 with most of the traffic concentrated around the six-max no-Limit hold'em cash games. However, there is also significant traffic at the short-handed pot-limit Omaha cash tables if that is your game of choice. Everest Poker customers can enjoy Speed Poker, an exciting "fast-fold" format that allows you to play hundreds of hands every hours. Instead of being seated at the same table for the duration of your play, you get to change table and opponents each time you fold! Don’t like the cards you have been dealt? Simply click the speed fold button to be instantly whisked away to a new table - with new opponents and cards! You can do this as frequently as you like until you find hole cards that you are happy to play. Everest Poker is also the home to Twister Poker, a special sit-and-go tournament format. The tournaments are played three-handed and to a hyper-turbo blind structure and, with the prize randomly selected at the start of the tournament. The software randomly selects a prize pool amount of between twice and 1,000 times the initial buy-in and the winner-takes-all!